Radiology is a branch of medicine that uses imaging technology to diagnose and treat disease. Radiologists, are often a key player in a case involving a missed or delayed diagnosis. Sometimes the breach in care is a physician’s failure to involve a radiologist or requesting the incorrect type of imaging. Other times the radiologist misinterprets the imaging obtained. Understanding the various types of imaging can be very helpful to building a medical malpractice case. CT scan: A CT scan utilizes x-rays to create picture of cross-sections of the body. This results in multiple layered images that can create a 3 dimensional view of bodies interior. Certain exams requires the radiologist to introduce a special dye, called contrast, into the patient’s body. This dye helps certain areas show up better on the x-rays. CT scans are most often used to create images of the brain, chest, spine, and abdomen. MRI: A MRI utilizes powerful magnets and radio waves to create pictures of the body. One exam can produce hundreds of images. MRIs are most often used to create images of the abdomen, chest, brain, heart, and spine. MRIs, like CT scans, often require the patient to have a contrast dye introduced into their body. X-ray: X ray is probably the most familiar of radiological tests. It utilizes x-rays that are sent through the body and then gathered on the opposite side. Structures that are more dense, such as bone, more adequately block the passage of the rays, creating a white image on the image collected. Structures that are not dense, such as air, muscle, fat, and fluid, allow various amounts of rays to pass through, creating varying degrees of white, gray, and black to be collected. PET: A PET scan is most often used to help in the diagnosis of cancer. It requires injection of a radioactive material, called a tracer, into the blood stream. The material collects in organs and tissues in a predicable amount in healthy organs and tissue. The radioactivity emitted is collected to create a 3D image. Over accumulation in tissue or organs is often indicative of cancer. Ultrasound: An Ultrasound machine sends high-frequency sound waves into the body. These waves bounce off of structures in the body, like organs, and return the machine, where the data is gathered and translated into an image. A clear water-based gel is applied to the skin to help with transmission of the sound waves. Each type of imaging is well suited for certain purposes. Sometimes it is more beneficial to have an MRI than a CT scan, and vica versa. 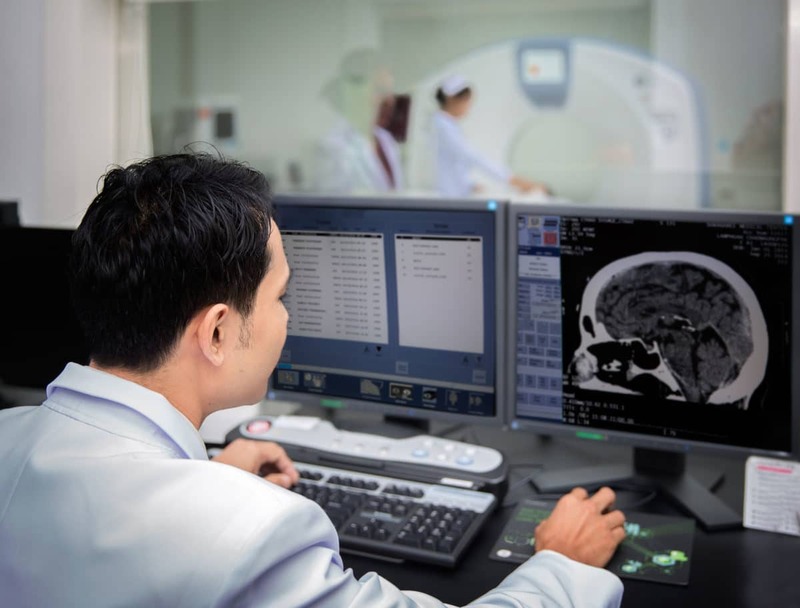 At G. Eric Nielson & Associates, we work closely with consulting radiologists to help you understand what your imaging tests mean, and how they should be interpreted. We also have significant experience with a broad range of medical issues, helping us to understand when your doctor should be utilizing imaging technology. If you think your doctors delayed diagnosis of a severe medical condition, resulting in increased injury to you, please don’t hesitate to contact the medical malpractice attorneys at. G. Eric Nielson & Associates.